At Fresh Vending we’ve taken the task of replenishing vending machines to the next level to provide service that no one else in our industry can match. 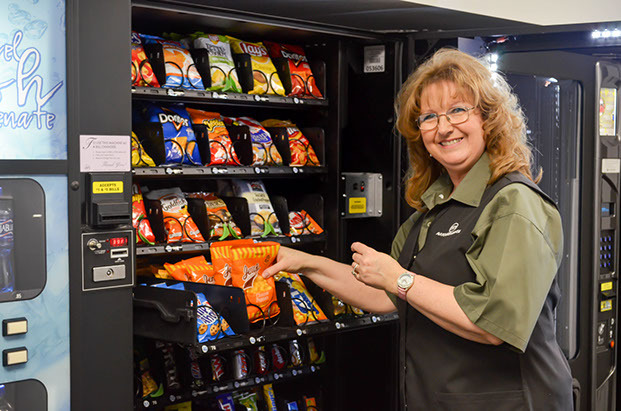 Rather than filling vending machines on a standard, inflexible schedule, we refill our vending machines when they need service-every day if sales warrant it. Because all of our machines are equipped with wireless technology, we know how many items are left in each row of every machine. We refill our vending machines when they need to be filled, not according to some set schedule like our competition. Rotate all products to ensure all items are in date and are in excellent condition. Fill all selections in the machine. Inspect machines and correct minor repair issues. Because we know what has sold in every column, we are able to send our drivers to refill machines with exactly the right product and the right quantity that they need. 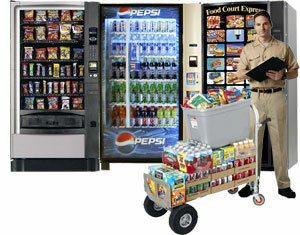 Instead of relying on a route driver to guess what quantities of which products will be needed each day, we provide our drivers with all the products that are required for vending machine replenishment. We pride ourselves in having vending machines that look good. Not only do we refill machines when needed, we also clean the glass, drop tray, and other parts of the machine every time we refill it. We pay attention to the little things like expiration dates, product appearance, and display.